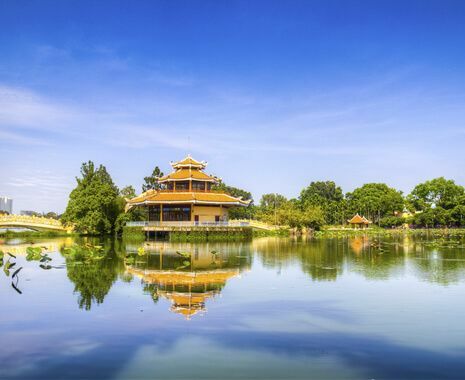 Cruise in style on the legendary Mekong river on this 7-night journey between Vietnam and Cambodia. 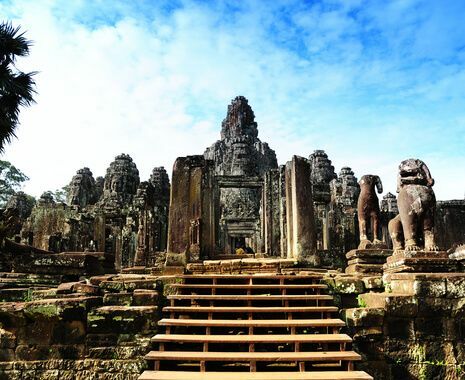 This cruise can be taken either up or downstream, ending or beginning at the legendary temples of Angkor. The Aqua Mekong is the perfect way to visit remote riverside locations, all the while enjoying access to luxury accommodation, facilities and meals back on board. Featuring some of the most luxurious accommodation in each destination throughout the tour. Prices are based on the standard room / cabin category, unless otherwise stated. The cruise departs every Friday from either Ho Chi Minh City or Siem Reap, between July and November. From December to June, only 3- and 4-night itineraries are available. Itineraries are subject to change and amendments due to local conditions. The Aqua Mekong by Aqua Expeditions is a 20-suite vessel, the third and latest in the Aqua Expeditions fleet. Introducing a new standard of luxury and sophistication on the river, designed by Vietnam-based British architect David Hodkinson of Noor Design, the boat uses local, sustainable materials and artisanal touches to create a floating boutique hotel. Suites feature a California king-sized bed, floor-to-ceiling windows, a large double closet with safety box, chest of drawers, television, telephone, an indoor seating area and, for balcony cabins, an outdoor seating area. Bathrooms are spacious with a picture window facing the Mekong, two sinks, walk-in shower with rainforest showerhead and bench. Boat facilities include indoor and outdoor bars, an indoor dining room and outdoor private dining, screening room with theatre-style seating, library / games room, outdoor shaded lounge with daybeds, a boutique, an observation deck with outdoor sunbeds and a top deck exercise room overlooking the river. The luxury spa has two spa treatment rooms, each with two massage beds. The crew consist of 40 personnel, including a cruise director and four English-speaking guides.